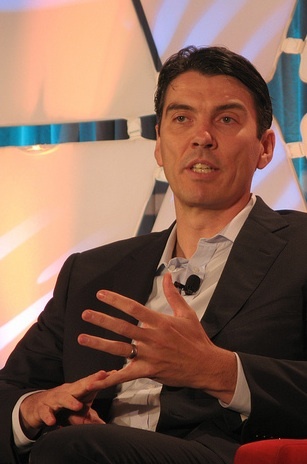 At midnight, AOL announced that it will buy the Huffington Post for $315 million. Below is the internal memo AOL CEO Tim Armstrong sent to all AOL employees (except us, they don’t trust us with anything) about the transaction. In between the corporate speak, he points out that a combined AOL and Huffington Post will have 117 million unduplicated unique visitors per month in the U.S., and outlines the new organizational structure with Arianna Huffington as Editor In Chief of all of AOL’s media properties, including TechCrunch. AOL exec Jon Brod will be overseeing the integration from an operational perspective on the AOL side. We are taking another major step in the comeback of AOL. Today we are announcing that we have agreed to acquire The Huffington Post, one of the most exciting, influential, and fastest growing properties on the Internet. We believe in brands, quality journalism, and the positive role of communities in the world—The Huffington Post shares our values and the combination of the two companies will create the premier global and local media company on the Internet. Co-founded six years ago by Arianna Huffington and Ken Lerer, The Huffington Post has grown to become an industry leader—one of the Web’s most popular and innovative sources of online news, commentary, and information. Arianna and team have created a brand and a destination that focuses on the consumer experience. By combining The Huffington Post with AOL’s network of sites, thriving video offerings, local expertise and enormous reach, we will create a company that is laser-focused on serving our audiences across every platform imaginable – social, local, video, mobile and tablet. The Huffington Post is core to our strategy and our 80:80:80 focus – 80% of domestic spending is done by women, 80% of commerce happens locally and 80% of considered purchases are driven by influencers. The influencer part of the strategy is important and will be potent. The Huffington Post will join the family of AOL Brands that are destinations for an influencer audience, brands like TechCrunch, Engadget, AutoBlog, and Moviefone. Uniquely, The Huffington Post is the platform for influential people — the people that drive trends, commerce, politics, entertainment, news, and information. Adding this strategic platform to our already strong network of sites, including the AOL homepage, has the potential to make AOL the most influential company in the content space. Together, AOL and The Huffington Post will have 117MM unduplicated domestic monthly UVs, and ~270MM monthly UVs worldwide (according to comScore Dec 2010). The Huffington Post is one of the fastest growing web properties on the Internet. It grew 22% last year – that’s faster than Twitter, which grew 18% – and 15x as quickly as the Internet grew last year (comScore Dec ’09-’10). Both AOL and The Huffington Post count powerful, affluent users among their top loyal visitors, significantly over-indexing in $100K+ income users. AOL passed Hulu in unique viewers on video in the fourth quarter of 2010; video views on AOL are up 400 percent year-over-year. Between AOL’s innovative Project Devil ad unit, engaging users for 27 seconds longer than traditional display ads, and The Huffington Post’s highly-vocal community, with 4MM+ comments per month, we will marry attention-grabbing content and brand experiences for both advertisers and consumers. And of course we wanted to welcome Arianna to our “You’ve Got” video of the day—check her out on AOL.com.